Leadership within higher education and information technology should be constantly measured so we are fully aligned with providing value and achieving outcomes. Higher education is experiencing many changes in both academic and operational processes. New learning and course delivery models are aimed to improve both the learning experience and graduation rates while reducing the time to completion. Outcome-based funding models continue to be implemented across the country to measure results of academic performance. As the models for instruction and success evaluation evolve, similar techniques should also be adopted among all individuals with leadership roles to ensure we are being efficient and effective while delivering the most value to the organization. Leadership within higher education should first go through a transformation before we can fully embrace new learning methodologies and processes for our students. Within information technology, all people, processes and technologies should be measured so we are fully aligned with providing value and achieving outcomes. IT strategies can sometimes focus on implementing the next evolution of a particular technology rather than identifying the best approach to achieve the strategic goals of the organization. Every task we undertake should experience a shift to being measured against the goals and expectations of the organization. As an outdoorsman, I enjoy spending the little free time I have in the woods and target shooting. Understanding the data, discipline and process is key to hitting the bull's-eye at long distances. IT itself can be viewed as a sport when you factor in all the training, practice, work ethic and perseverance it often requires. 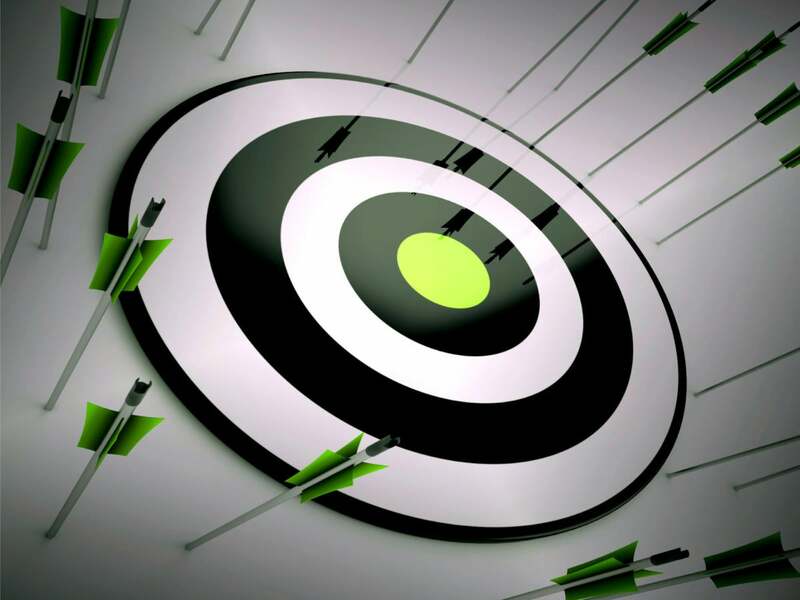 Many people think they have their sights on the target but frequently miss, blaming everything except their own reluctance to think of the big picture. The sport of IT is competitive across industries and constantly changes due to the velocity of technology and big data. This requires continued training, assessment and metrics -- from both a tactical and a leadership perspective. In technology we must constantly review every process as well as every form of technology being used. This will help us align resources where needed and find cost-saving opportunities. Reducing the cost of education requires a complete review of all processes using data and metrics. Managers are quick to report they are being efficient without taking a serious look at how they do business. At a public institution it is very important to identify savings as our budgets are getting reduced, and cutting services is not an option if we want students to have a great experience. Metrics should be analyzed on every activity possible. Measuring the number of pages printed at each printer, analyzing metrics on computer usage and software licensing usage, and improving communication based on the top issues reported to tier 1 services are just a few examples of reducing costs. Before renewing those high-cost annual contracts or continuing with those time-consuming projects, it is extremely beneficial to perform cost-benefit analysis and adjust where needed. Space utilization metrics can also help in strategically using resources without being excessive and overspending. Performance-based data and analytics provide the framework to strategically allocating resources across the entire organization so we achieve goals faster and cut costs wherever possible. Reviewing data and metrics is a constant exercise that takes time to build into the culture of IT and other business units. It can often appear as an extra workload until enough information is gathered to identify an inefficiency or cost-saving opportunity. Every hour a staff spends is a cost to the institution. The time we spend on a project may not have an operational cost but the staff time can be huge, as inefficiencies delay long-term strategies and student success outcomes -- and put jobs at risk. I often hear complaints from IT leaders that they are not included or at the table for a major business decision. This is often followed by stating the campus executives do not understand the importance of IT. IT leaders must align closely with the strategic goals of the organization and be more involved with business decisions. IT staying behind closed doors or locked in the data center is no longer an option. Technology continues to integrate deeply into every business and job function of the organization. All leaders, including the chief information officer and directors, should attend and be involved with activities on campus. How can IT develop an internal strategic plan if we are not fully engaged with business units, academics, faculty senate, staff senate and student government? Without that engagement we are only focusing on what we think is best or listing the next evolution of our favorite technologies. It is easy to like a particular technology and be biased toward the true impact it will have at an institution. With this in mind, to truly be effective, IT leaders should seek to fully understand the business units at the institution just as much as we know our favorite hardware or software. All of the staff within IT should work strategically on tasks that directly tie into the institutional goals and their associated projects. When IT is always present, other executives and managers will more than likely ask for our input and know to call us before a decision is made. When IT is not involved, people will only call us when their accounts are locked, computers freeze, printers jam, network connections are lost, or they need help with the projector. Gaining input from other leaders within the organization can ensure all of our many projects have the greatest impact and are properly aligned to hit the targeted outcome. Brian A. Haugabrook is an IT professional working at Valdosta State University with extensive experience in business intelligence, data analysis, enrollment and retention management.